We have been using a couple of new products from a new player, ProGrade Digital, in the professional category of the memory card business. 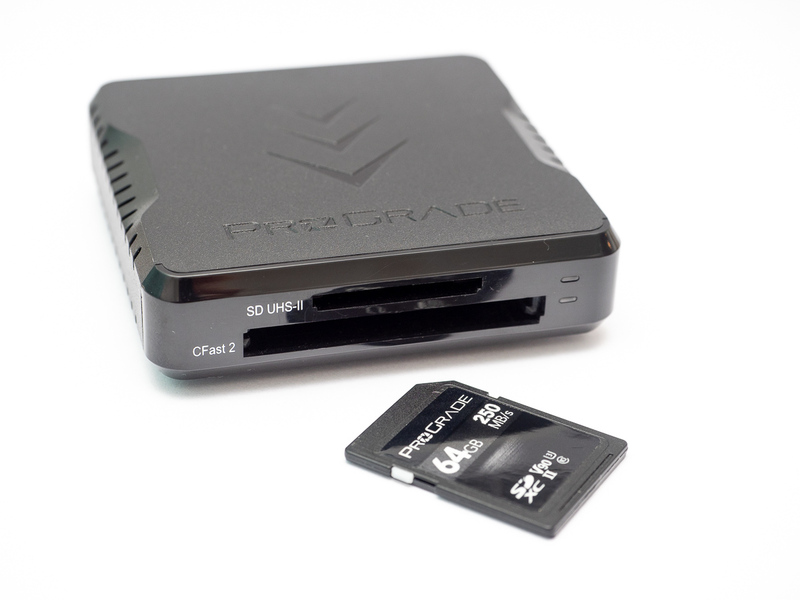 Here we’re reviewing their ProGrade CFAST™ & SD Dual Slot USB 3.1, Gen 2 Workflow Reader. It’s a bit of a mouthful! We’ll review their UHS-II V90 SDXC card separately. 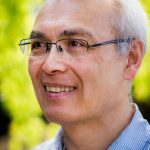 ProGrade was formed earlier this year by a group of former Lexar and SanDisk personnel and they have a particular focus on the needs of photographers. The reader we’re looking at in this article supports both UHS-II SD card and CFAST cards. Please note we are only examining its SD card performance in this review. For years now we’ve ignored the USB 3.0 card reader at our office (a Lexar Pro SR1). 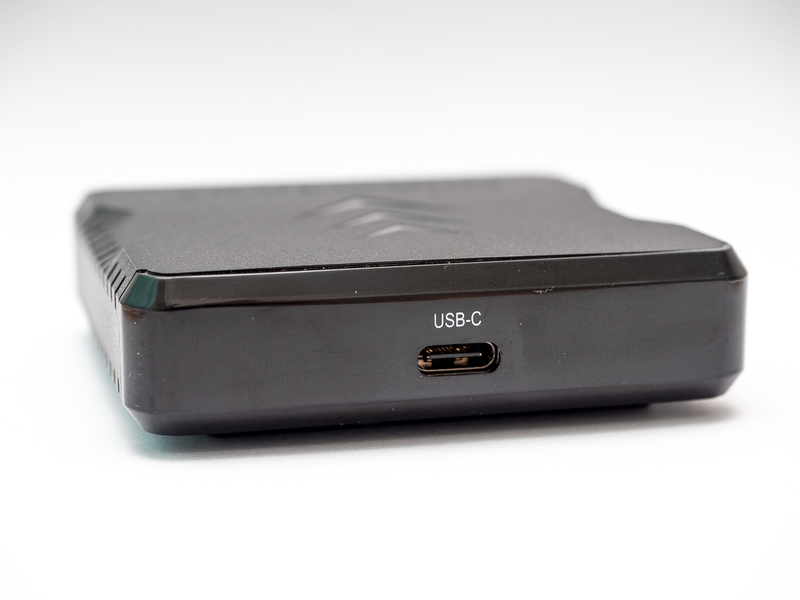 But now UHS-II cards have come onto the scene the limitations of first-generation USB 3.90 card readers have been exposed. UHS-II cards are capable of much faster read and write rates thanks to improved data transfer protocols and interface electronics. You can tell an UHS-II card from a ‘standard’ card by the extra row of contacts on the card. UHS-II cards are compatible with older SD card readers but you don’t get the extra performance. 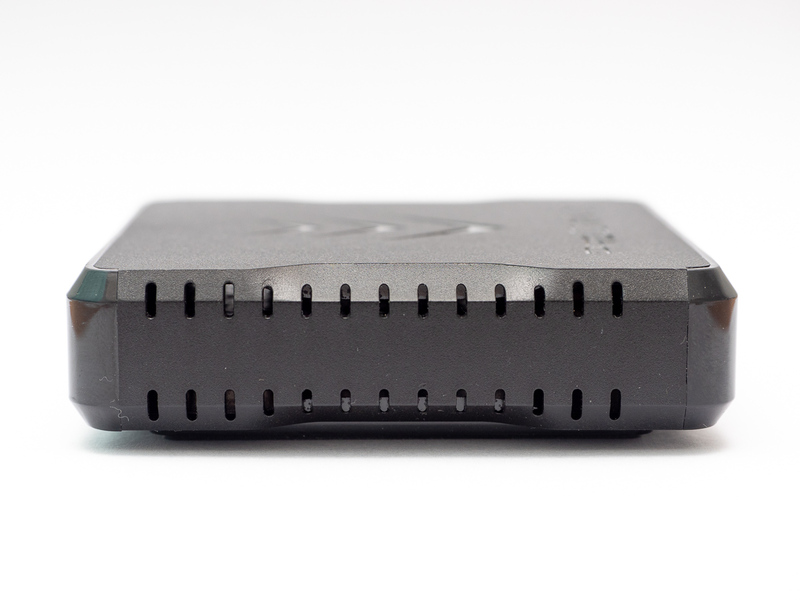 The ProGrade reader we’re reviewing fully supports UHS-II, but that’s only half the story. Memory card performance is limited by bottlenecks. Where the bottleneck resides depends on the memory card itself, he card reader, the connection to the host device and the interface at the host. 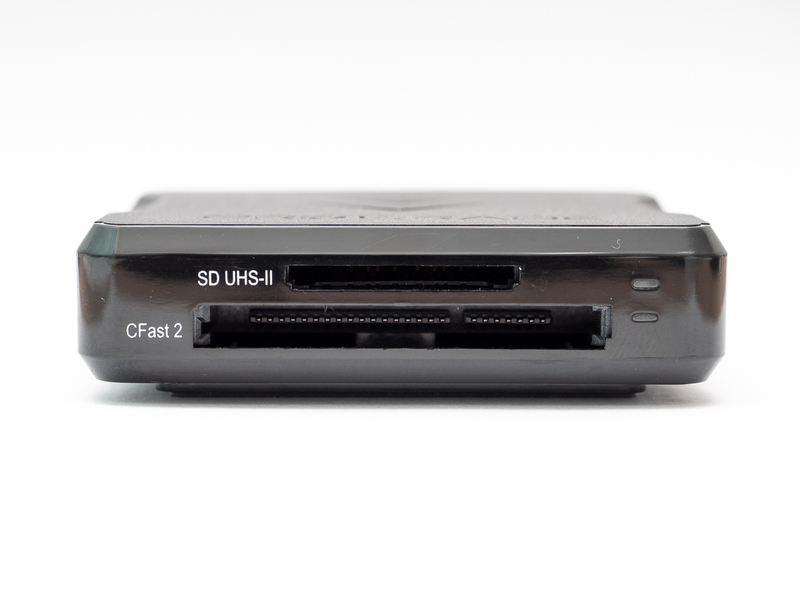 The ProGrade CFAST™ & SD Dual Slot USB 3.1, Gen 2 Workflow Reader not only supports UHS-II but also data transfer at up to a theoretical Gen 2 10Gbits/sec, or 1.25 GBytes/sec via its USB 3.1 Gen 2 interface using a USB C-type connection. That’s double the theoretical speed of USB 3.0 Gen 1. But as we shall see, it’s more complicated than that. ProGrade have come up with a robust device that gives you confidence it will last and withstand a degree of abuse. It is supplied with a pair of high quality 45cm cables, USB-C to A and USB-C to C.
The reader also has a magnetic base so you can secure it to a convenient steel surface, like the surface of your PC case, for example. W word of caution; the magnet is quite strong and, personally, I’d recommend taking care to keep the reader away from sensitive magnetic devices like hard disk drives. To start with we didn’t have a USB Gen 2 capability on our office desktop PC. This was solved by installing a suitable interface card. We also tested the reader on a laptop with a USB 3.1 Gen 1 type C port. 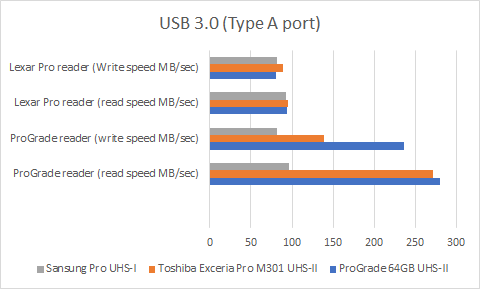 To explore the kinds of benefits possible we tested the reader with ProGrade’s own high performance 64GB UHS-II U£ V90 UHS-II SDXC card, a Toshiba M301 U3 UHS-II MicroSDXC card fitted to a UHS-II SDXC adapter, and a Samsung Pro 64GB U1 SDXC UHS-I card. The Samsung card is representative if typical mid-tier good performance cards that you can get for a reasonable price. 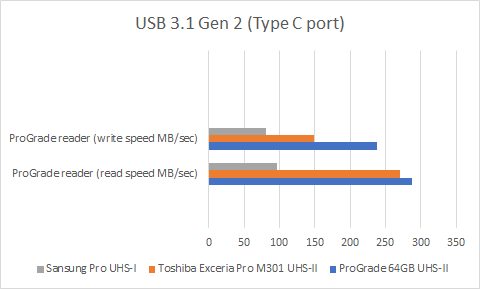 First we tested the three cards using both the ProGrade reader and our old Lexar Pro reader connected to our PC’s standard Type A USB 3.0 port. On the Lexar reader there was minimal difference between any of the cards despite their considerable differences in potential performance. None managed to break the 100MB/sec threshold. Using the ProGrade reader the two UHS-II cards were liberated and both easily exceeded exceeded 250MB/sec for read actions and the ProGrade card sailed past 200MB/sec for write operations. The Samsung UHS-I card hardly benefited, however. 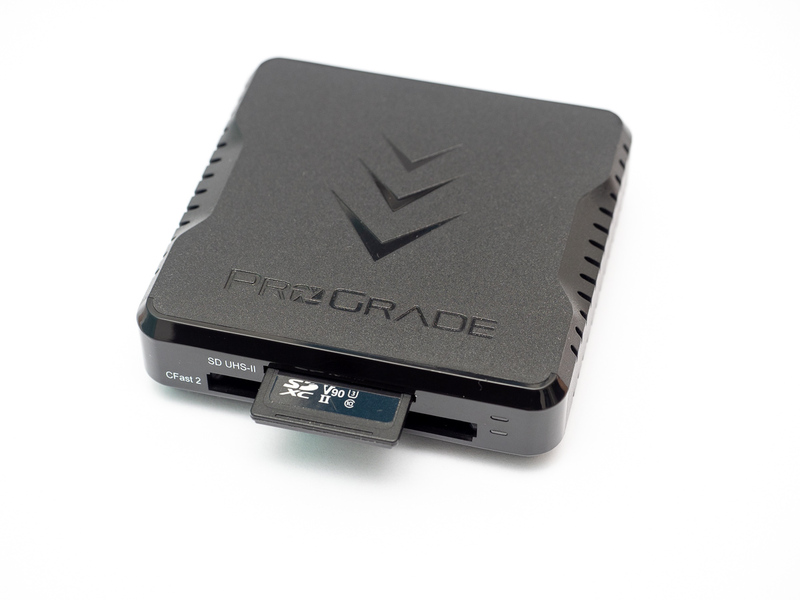 Next we fitted the ProGrade reader to the Gen 2 USB 3.1 Type C port we installed for this review. There were only small improvements for the UHS-II cards. Our deduction is that the cards have effectively become the bottleneck and are basically maxed-out. If we get a chance to test a faster CFast card we’ll update the review. 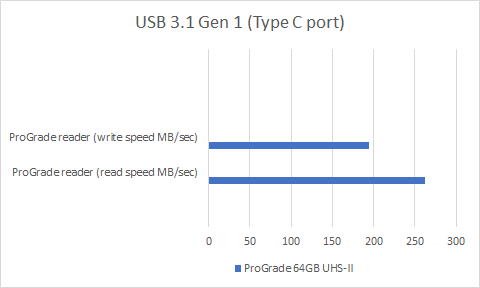 Finally, we connected the ProGrade reader to our laptop’s USB 3.1 Gen 1 Type C port. We only tested the ProGrade UHS-II card this time. We still enjoyed healthy UHS-II read and write speeds but not as spectacular as the results using the desktop PC. This isn’t a big surprise as laptops are optimised for power efficiency rather than outright performance. Incidentally, we also compared the peformance of an inexpensive Kingston MobileLite G4 UHS-II card reader which needs a Type A port. The ProGrade reader easily out-performed the Kingston reader, though both were a lot better than the old Lexar Pro reader. If you use UHS-II cards now, you can save time time by investing in a good UHS-II card reader, like the ProGrade one tested here. Upgrading to a Gen 2 USB 3.1 interface on your PC is not justified at present. That may be different if you use faster CFast or XQD cards. 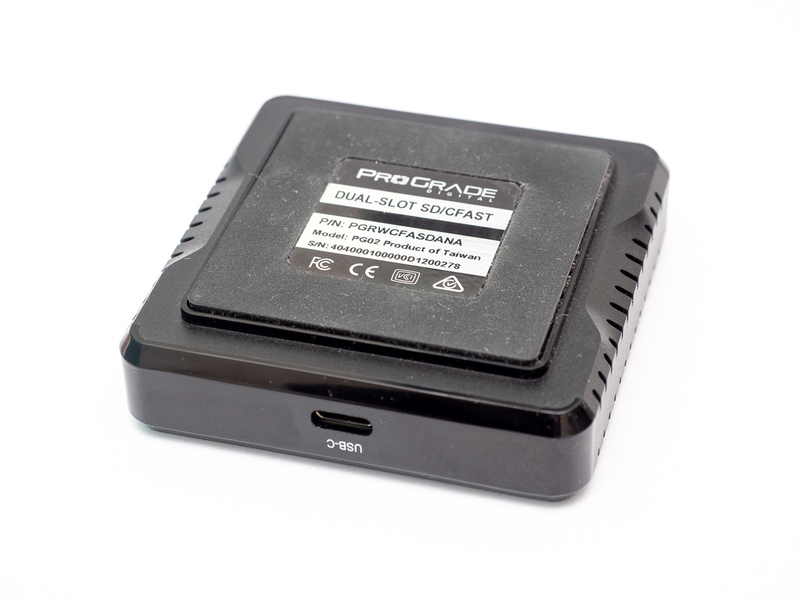 Can we recommend the ProGrade CFAST™ & SD Dual Slot USB 3.1, Gen 2 Workflow Reader? Yes, if your budget allows.